A special extended 3D edition of James Cameron’s science fiction film Avatar has been withdrawn by its distributors after the classification board gave it a 12-rating rather than PG. The original version of Avatar, screened in 2D and 3D, was classified PG and ran for 20 weeks in cinemas. However, KRS Film Distributors said yesterday they did not agree with the new classification awarded to the extended version, which had an additional eight minutes of scenes scattered throughout the entire film. “The additional scenes in the special edition do not justify the film being given a higher classification than that of the original film,” KRS said. The film was scheduled to be shown from October 20 at the Eden Cinema in St Julians and the Empire Cinema in Buġibba. 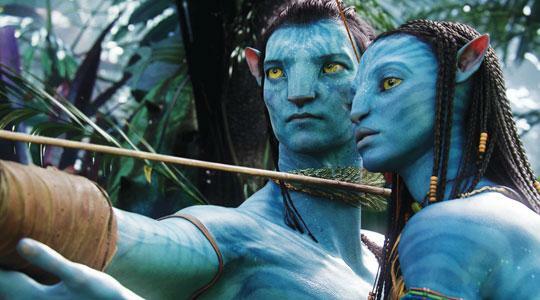 “KRS Film Distributors and 20th Century Fox were left no option but to withdraw Avatar Special Edition 3D from playing in cinemas in Malta,” the distributors said, adding they made arrangements with Eden Cinemas to exhibit the original version of Avatar in 3D, with a PG rating, from today. In the UK, the original version of Avatar in 2D and 3D and its extended 3D version were classified 12A, which means the material is suitable, in general, only for those aged 12 and over. According to the British Board of Film Classification no one younger than 12 may see a 12A film in a cinema unless accompanied by an adult and films classified 12A are not recommended for a child below 12. An adult may take a younger child if, in their judgment, the film is suitable for that particular child.